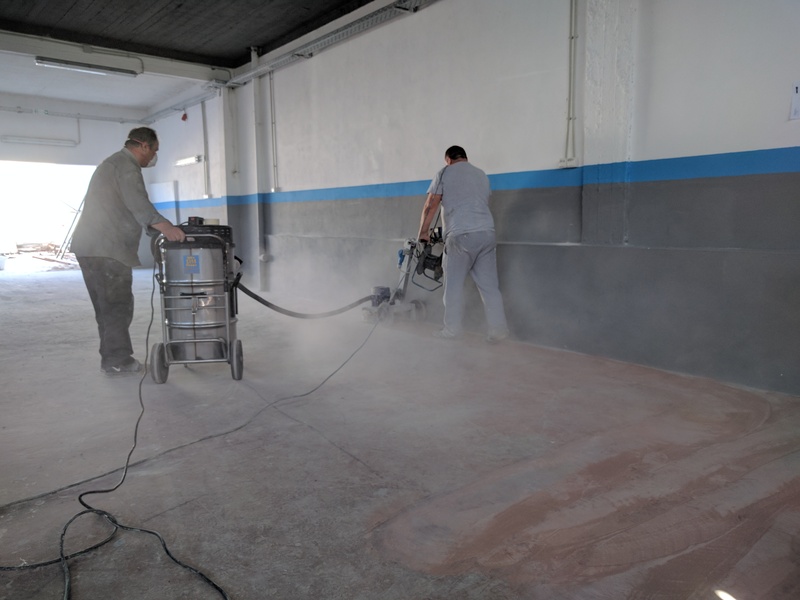 All seasoned epoxy applicators will agree that thorough surface preparation is key for the long term success of a successful flooring project. There is nothing more heart breaking for a client to discover his beautiful epoxy floor to start chipping and breaking just a few weeks or months after completing. Most of the time poor surface preparation is the culprit. 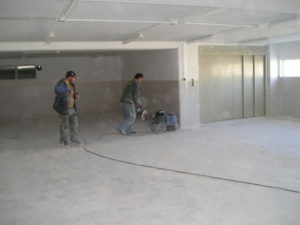 The substrate had not been properly ground, cleaned and prepared to be able to accept the epoxy. 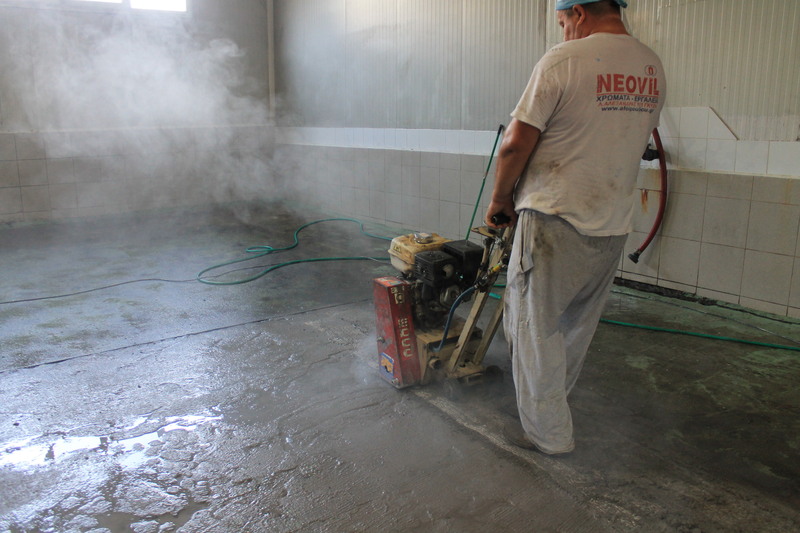 So what constitutes proper surface preparation? Which method is the best? This is a good question as depending on the application in question you may need to approach the problem in a different manner. I have identified several levels of surface preparation according to their mechanical intensity. Some methods (like sanding) are light and barely scratch the surface. Other methods (like scarifying can) be deep and intense. Stone Grinding – These machines were very popular before diamond grinders came out, but I see that epoxy applicators are not using them much these days. 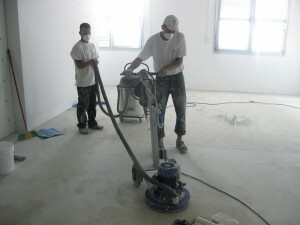 Basically this is a heavy floor grinder that has stone tools fastened to the bottom. Works well for a soft concrete surface but it does not grind well on hard concrete or epoxy. Shot-blasting is a more aggressive method of surface preparation than grinding. It leaves a nice deep profile that makes the bonding conditions for high build flooring systems (3mm and over) ideal. 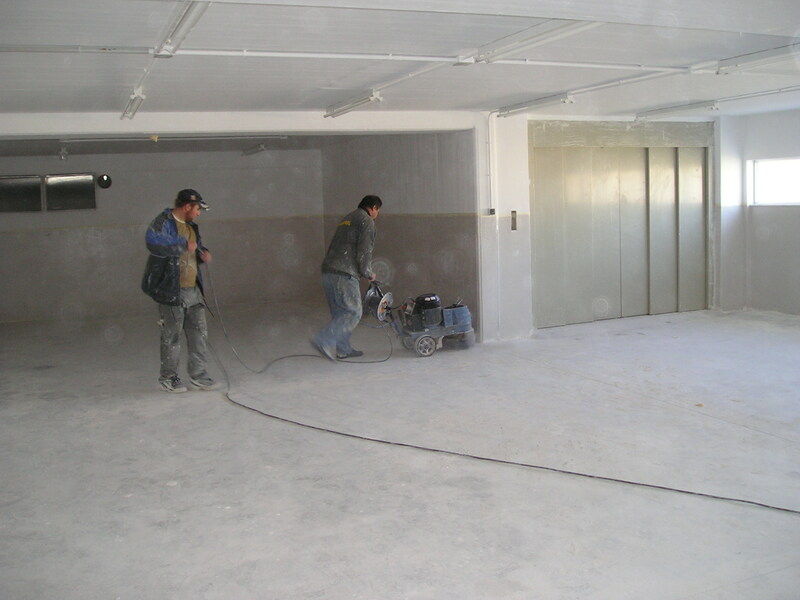 However shot blasting requires very good high quality concrete to work properly. If you try shot-blasting a weak substrate you could very well end up damaging the substrate. Finally, Scarifying is my solution of last resort. This is a very aggressive form of surface preparation that digs into the surface. Several time when I was faced with horrible looking contaminated floors, using a scarifier saved the day. We were able to clean the surface and apply a new thick heavy build coat. As a final comment, the thicker the system that you plan to apply the deeper the preparation needs to be. This holds also vice versa. If you scarify a surface, you need a thick coating to cover that surface. A thin epoxy coat will not be able to fully cover the heavily scarred profile. What are your thoughts on surface preparation? Please leave your comments below! And if you got value from this article, then maybe you should consider our online course for epoxy flooring! You will get many more useful insights and information in this jam-packed course.